No joke: IoT applications are broad, and it’s all just beginning. The truth of the first two reasons is easy enough to demonstrate. The third is more complex. First, it’s an exaggeration for effect. The punchline infers that a properly implemented IoT project should help companies avoid violating data protection and compliancy rules, but the penalty for that is fines, not jail. In addition, even the idea that the IoT helps companies avoid compliance troubles is unproven. High-profile security breaches that exploited Internet of Things (IoT) vulnerabilities have created major business concerns, and people really aren’t sure how safe IoT is. These breaches have redoubled industry efforts to make the IoT as secure as possible, and the joke implies that these efforts are succeeding. But that’s debatable. 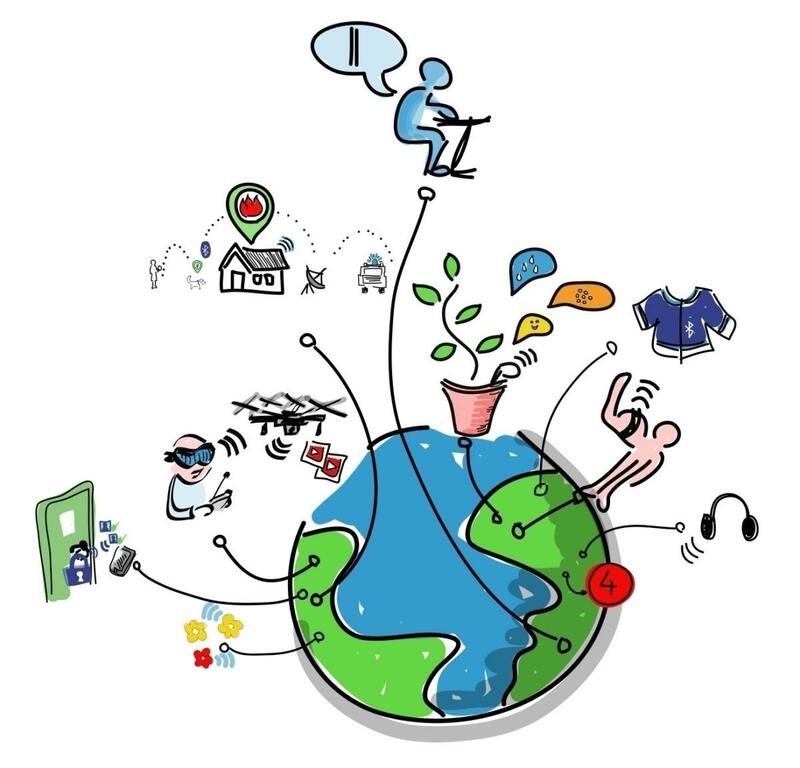 McKinsey estimates the IoT could deliver up to $11.1 trillion in economic value by 2025. Here’s a broad look at the ways the IoT has and will enhance bottom lines everywhere. New services: The data flying around IoT networks has a lot to say, and businesses are figuring out how to use the information to build products and services. Wearables track health indicators and help people achieve fitness goals. Smart shoe soles in development will monitor the elderly’s balance and gait patterns, and can predict when a fall is coming. Cybersecurity, manufacturing and emergency response are other common areas for developing IoT services. One IoT-enabled service links enterprise sensor data, system data, location data and employee smart devices to create a unified communication platform in a crisis. Municipalities are also willing to pay companies for smart traffic services that reduce congestion. Examples are abundant, and it’s all just starting. New insights: The insights available via IoT are creating new business models, but they’re also transforming existing industries. The traditionally staid insurance industry is a case in point. IoT sensors can supply information about driving habits and speed, record an individual’s pulse rates and exercise frequency, and monitor homes for leaks and water damage. All this information can help insurers optimize car, health and home insurance rates. Another established sector that is using IoT technology to keep pace is brick-and-mortar retail. Product tags can quickly alert retailers about which goods are flying off shelves and need to be replenished. Sensors can also measure foot traffic around certain in-store product placements, so retailers know if adjustments are needed to attract more people. The IoT is helping companies of all kinds see things like they couldn’t before, so they can create and maximize revenues. New efficiencies: A great example of how the IoT can improve business efficiency is through predictive maintenance, which uses sensors on equipment and machinery to detect possible problems before they occur, leading to smoother operation and lower costs. The sensors track inputs such as vibrations, sounds and video, and the raw data can be analyzed to find patterns that occur before a failure, so companies can proactively address issues. The ease of implementation and clear benefits of predictive maintenance are big reasons why McKinsey sees factories as the top setting where IoT value is poised to accrue. We know that companies are furiously working to make the IoT more secure, but what exactly are they doing? Some of the steps they’re taking may sound basic, like installing firewalls, user authentication, and intrusion prevention and detection systems, but it’s made more complex because of the range of communication protocols and standards in a sprawling IoT network. Businesses are also working to encrypt data in transit and at rest, which is again made more difficult by the wide range of devices in play. As the battle goes on, the IoT itself is also being used as a key weapon in the war against IoT breaches. The reams of data streaming across IoT networks can be analyzed so that unusual activity can be quickly flagged and mitigated. As the industry works to make the IoT more secure, governments are increasing the pressure by ratcheting up general data protection regulations. For instance, data sovereignty laws that require data to be stored in the country where it’s generated are becoming increasingly common, and service providers utilizing IoT networks must be sure that requirement is met first. The efforts are intense, and progress is uneven, but real. This combination of government regulation and industry upgrades all point to a time when completing an IoT project is actually upgrading your security and compliance operations. Like the joke says. Wedding compliance and security with the many possible bottom-line benefits of the IoT is a lot easier on a global interconnection platform that features 99.9999% uptime and numerous geographically dispersed colocation facilities. That reliability and geographic diversity increases the chances that wherever IoT data is being collected, there is a colocation facility nearby, where the data can be processed, stored and securely accessed while meeting local compliance rules. The direct nature of interconnection also maximizes the safety of the data, because no connections are as safe as private connections. As the IoT expands in pervasiveness and importance, it’s clear that interconnection will need to grow along with it. That’s because the exciting capabilities of the IoT won’t ever be fully realized if people don’t trust it. Interconnection builds that trust.